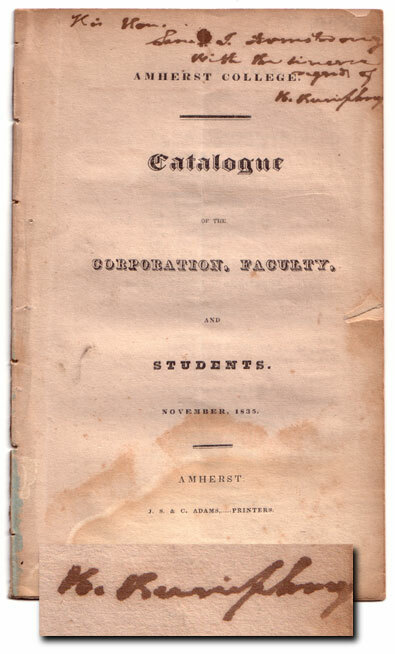 This copy of the College's November 1835 "Catalog of the Corporation, Faculty, and Students" is signed by President Heman Humphrey, second President of the College. The inscription reads, "His Honor, Samuel T. Armstrong, with the sincere regards of H. Humphrey."